Here we are. Again. Our favorite time of year. You know, that time of year when the temperature in your house can vary 90 degrees compared to outside. The time of year when you were certain you remembered liking snow at some point this winter but now it all seems like a faint memory. The time of year where you curse the ancestors who thought this would be a fun place to inhabit. 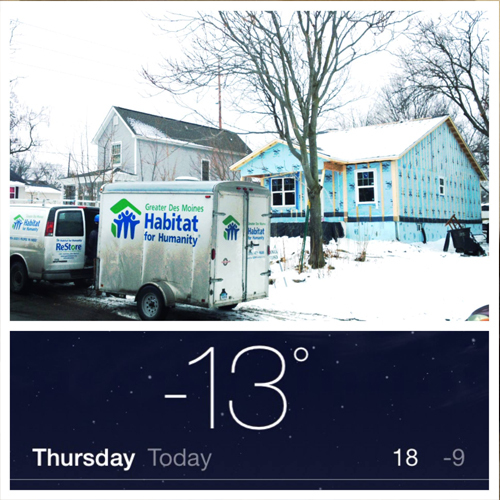 But when the temperatures drop well below balmy, we don't stop building homes. We don't stop repairing, restoring, renewing. 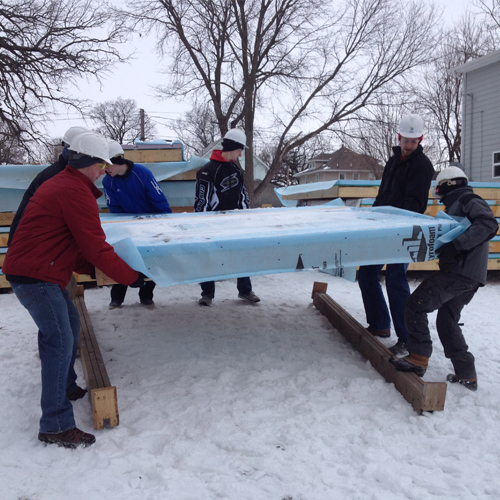 Winter is a fact of Iowa, so, if you’re going to brave polar vortexes, inches of ice, and wild animals that forgot to hibernate, you might as well be helping people. 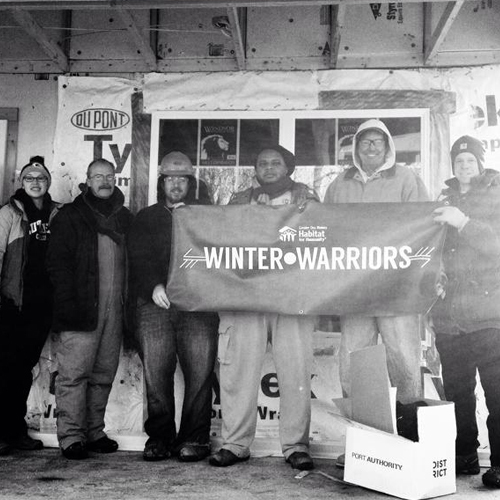 Join us on site this winter and help us build homes, communities, and hope. 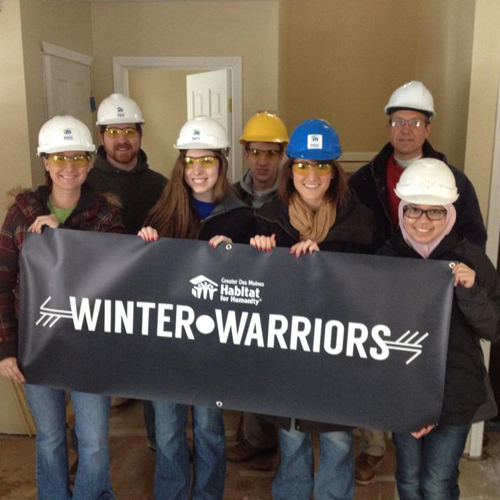 We build homes. (Shocking, we know.) 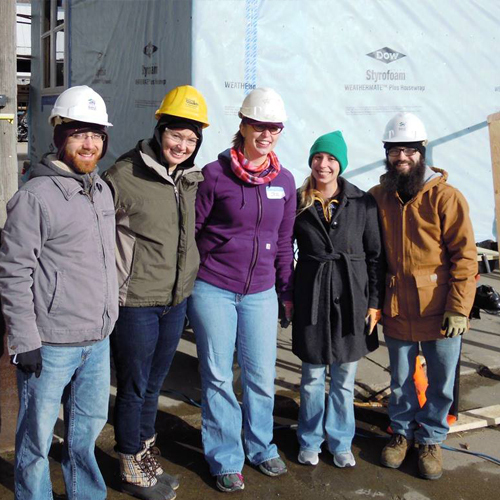 You can volunteer with our construction team and do anything from standing walls to setting trusses to installing siding. You may have heard, we do home repairs. 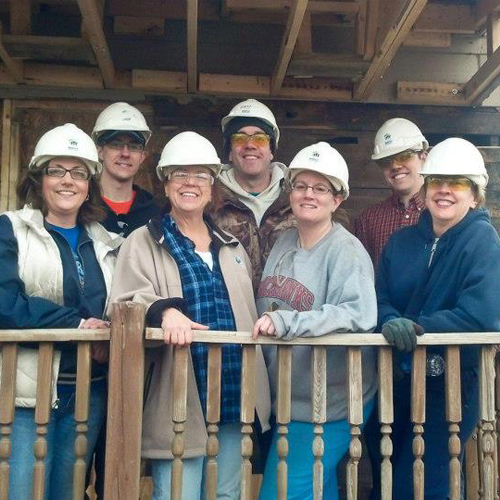 You can volunteer with these guys working on projects like weatherization, replacing siding, & building ramps. 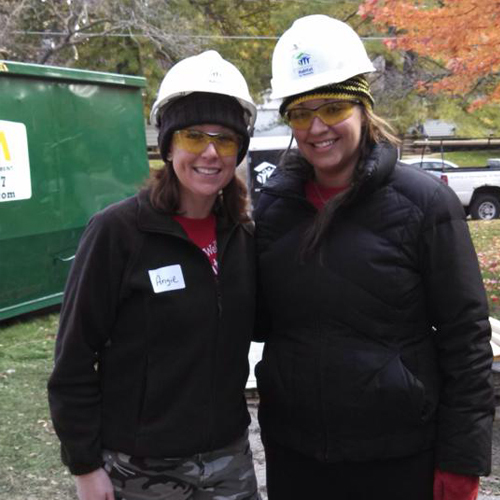 For the fifth year in a row, you'll score some swag when you show up on site. We sprung for long sleeved t-shirts. You're welcome, Des Moines. 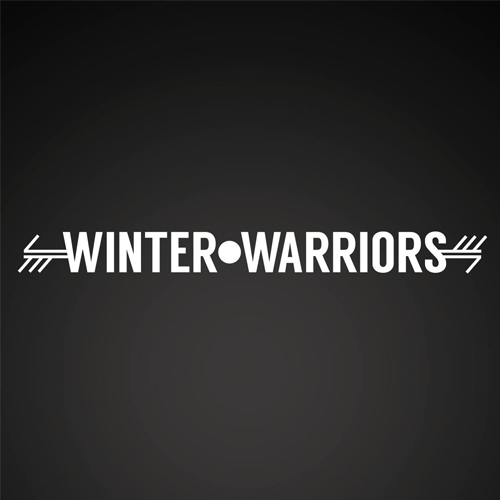 Ready to become a Winter Warrior? Play your cards right and your ice beard could be up here next, buddy. Not part of a group? register as an individual here.